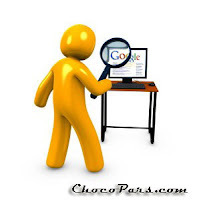 Searching to get latest update's and news from SEO industry to be on top of everything. Everyone loves to be pioneer in their niche industry. Being an SEO Expert I too love to keep myself up to date on what all are is happening in Search Industry. Do I Google every-time to find new advancement and latest news in SEO, not much instead I have subscribed to limited, but very good SEO Blog's whom I admire reading. I love the content which they publish, quality write up's from all these blog's are well-renowned Blog Author's whom I can trust. So if you are beginner in SEO or a SEO Guru or in between, don't waste time hopping from one website to another. Subscribe to below list of Top 20 SEO Blog's which are on my SEO RSS Radar, I used to read. (PS: I have not rated nor listed all these SEO blogs based on various rankings, although I love rankings). All these blogs has been listed out randomly, You'll also find all of them useful. Thanks for the very helpful information about SEO.RSS Feeds a very important topic.Searching to get latest update's and news from SEO industry to be on top of everything.........it's true.